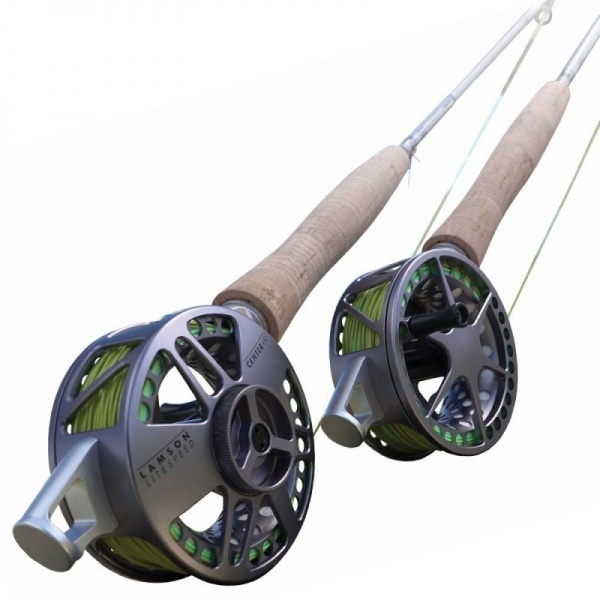 By closely aligning the center mass of their Litespeed reel with the center axis of the medium-fast action rod, they’ve de-levered the mass of the heavier object. The result will amaze you. You’ll feel the pulse of your cast like never before. Don’t take our word for it. Put the Center Axis in your hand. Casting is believing. Of course, the Center Axis system is only be as good as the rod it’s mated to. 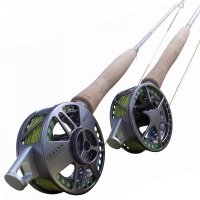 To this end, Lamson has developed a dynamic, versatile rod that’s fun to cast and that strikes a balance between speed and loop control, enhanced by its unique deep loading bottom section. Finished in a silhouette and flash-reducing matte grey the rods look every bit as good as they perform too. Supplied in a convenient, tough, cordura rod tube with a built in reel pouch.